The PCIe2RasPI adapter, connected on the mini PCIe I/O connector and the programmable FPGA make available the same pins function available on the Raspberry and much more... the extras available pins can be used to give functionality and speed what cannot be reached with software implementation on the Raspberry CPU. 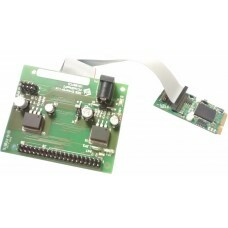 The PCIe2RasPI adapter routes the FPGA I/O pins to the standard Raspberry 40 ways J8 I/O connector, compatible A+, B+ and B2 versions. The peripherals that can be loaded on FPGA emulates the Raspberry Peripherals allowing the running of PC software under MS-Windows or Linux. 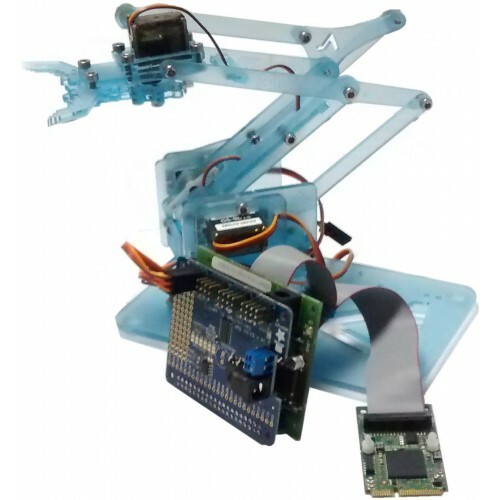 Many applications can be developed using the FEWE (*1) tool (Fpga Easy Web Editor) a GEB Enterprise Free tools that allows the users to customize the own application starting from some template created by GEB. User defined templates can be requested to GEB using the related template specification form. Fpga contents can be developed also using the traditional Altera QuartusII flow or asking for a customization to GEB Enterprise. The FEWE is coming soon tool who will effort able everybody to reprogram and redefine the PCIe I/O pins either in the standard RaspBerry configuration or in the available I/O supersets. You can have a one free Year license requesting it by e-mail to a.debora@geb-enterprise.com. See also the 151007K1 kit.